There are several ways to apply a chmod to files recursively on Linux. One of the easiest ways is to use the find command to select the files and then run the chmod command with the -exec switch. Change into the directory with cd, before you run the find command. 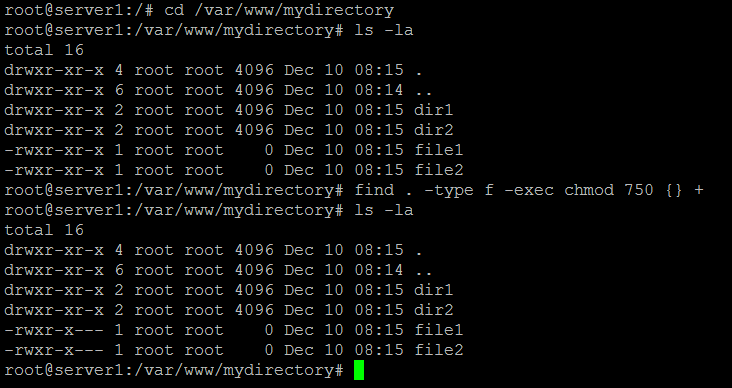 You can also specify the directory inside the find command instead of entering the directory first. Another way to achieve the same goal is to pipe the output of the find command to chmod by using the xargs command. The command is a bit longer but it should provide a better performance when many files are involved.